Between gigs and festivals, films and plays and so many things that are going on these weeks around Galway, we’re sure you will have some spare time for an appetizer or maybe just for a nice coffee. 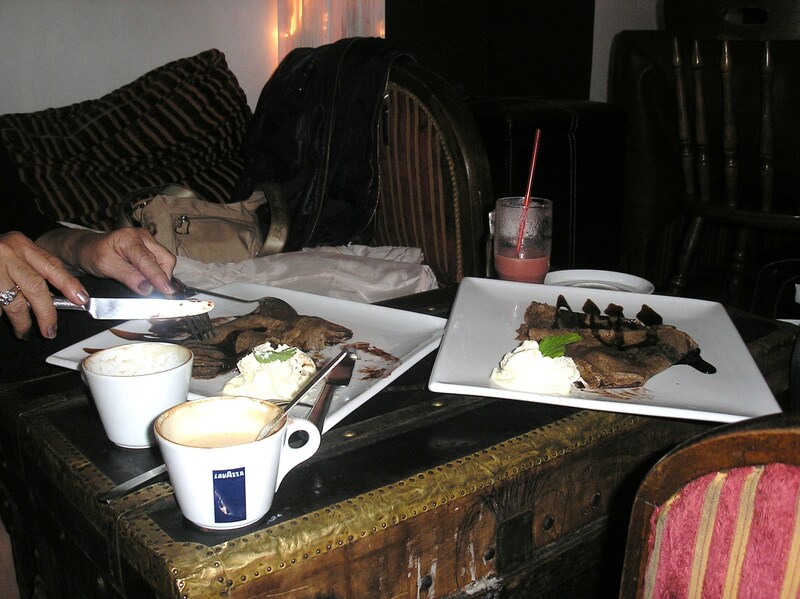 If you don’t know yet, Java’s is one the most popular places in the city fot its friendly staff and cosy atmosphere. You can pop in for a French breakfast while enjoying some chanson in the background; or meeting a friend and have some lunch together; maybe have some time for yourself in the evening and enjoy a nice cup of coffee or a special tea in company of your best book; or why not calling over for a late dinner accompanied of a glass of fine wine with your beloved one. Anything you like is possible in this small but cute French café bistro restaurant for they open most of the day and night all the week. You might have the chance to hear somebody’s music coming from the piano upstairs, or why not yourself! There’s always information and flyers about upcoming events, both in the entrance and near where the toilettes are. Everybody’s free to hang a poster of something interesting in Galway. And the pictures they have on the walls are so inspiring…You could even think that you are in the centre of Paris! About the food they serve: only say that the salads, the crepes and the scones are Delicious…Don’t need to know anything else, the rest is for you to try, yummy yummy…! If you want to get into the groove in the city of tribes, pop into this petite restaurant & wine bar and order some of the Italian style cuisine while listening to an eclectic music playlist in the background. 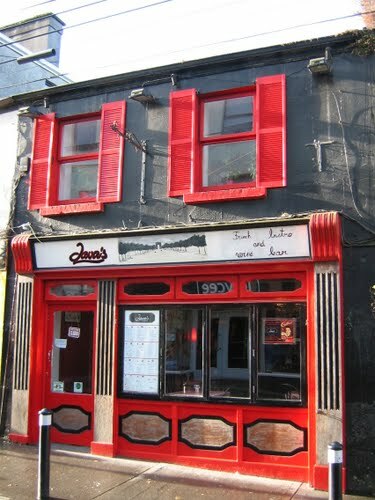 You’ll feel like you’re in the most stylish restaurant in Galway. If your budget can’t afford any dinner, pumper yourself with a glass of any of the fancy wines of their list before it gets too busy. In that case enjoy your glass in good company, it’s very likely you’ll meet somebody you know. The lunch option is more affordable and the atmosphere is a slitghly quieter that at nights. Dark spots: enjoy a dinner can be a bit too expensive. And depending on yor mood it can get a bit too busy and loud.